In this day and age, when nearly everybody is churning out a book whether they have a book in them or not, here are these 26 essays by Amitava Kumar, compiled under the title Lunch with a Bigot. In his note as a preamble to the book, the author states that when he encountered a judge at a poetry competition, he was asked by him, “If you have nothing to say, don’t write. Please.” That itself is enough compulsion for a reader to attempt going through this eclectic collection of essays that the writer has meticulously divided into four sections: Reading, Writing, Places and People. In the first section, namely “Reading”, the author specifies how “paper was to be worshipped, like money or the Gita”. Perhaps, the paperless internet generation will find this rather difficult to relate, but old school connoisseurs of good, old-fashioned writing may be able to connect with the sentiments resonating within the potent essay. 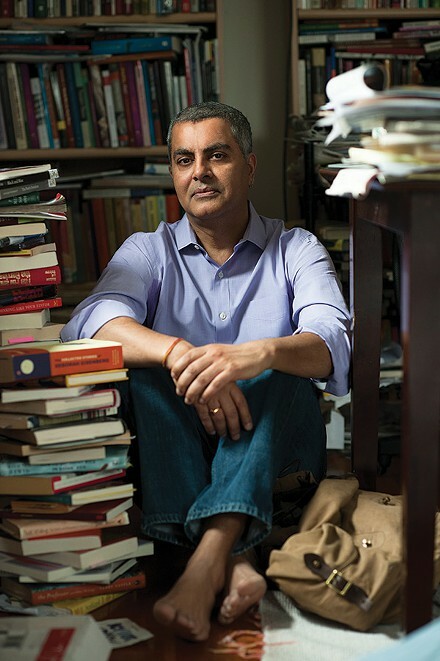 Amitava speaks about his life-changing interviews with eminent names in Indian literature such as Hanif Kureishi and Arundhati Roy, both of whom shaped and influenced his early years in writing. Sample this gem by Arundhati narrated during an interview with the author. She states, “Language…takes a while to become yours, to listen to you, to obey you and for you to obey it. I have a clear memory of language swimming towards me. Of my willing it out of water. Of it being blurred, inaccessible, inchoate…and then of it emerging. Sharply outlined, custom-made.” Such are the little pearls that the reader may encounter in this oysteresque collection. 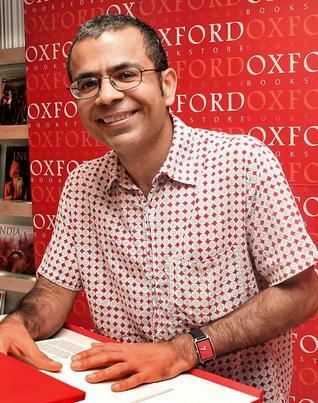 With a rather vociferous tonality of candid descriptions of the then Gujarat Chief Minister Narendra Modi in light of the Godhra riots or reportage of burning current issues that have captured mass imagination such as the Arushi murder case, Amitava’s essays have a pulse on topics that have social relevance and have been widely discussed and dissected. 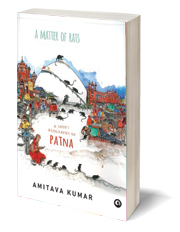 Amitava Kumar is the kind of writer you get to know a bit better with every book. Here is a person who engages deeply and fully with all that is around him, whether it is the rats of Patna or the taxi drivers of New York. The words of Oliver Sacks, neurologist and author, who passed away recently, come to mind when one reads Kumar: “I have been a sentient being, a thinking animal…” Lunch With a Bigot, Kumar’s most recent collection of essays — divided into Reading, Writing, Places and People — moves from literary criticism to the political, from memoir to reportage: a thinking man’s collection. While the genres might change, they are all characterised by a robust engagement with, and an examination of what is within and what is beyond. 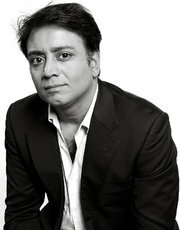 He writes with equal passion about a vast cast of characters, from Manoj Bajpai to Arundhati Roy to his own family. Even while he might delve into the political and ideological, the book ends with the most moving and acutely observed essay on the death of his mother. With five non-fiction books and a novel behind him, the professor of English at Vassar College in New York spends a night answering questions sent by email. Here he reveals the times he gasps, ‘yeh sahi cheez hai (this is the right thing), the role of writers and reporters and the Booker wins that he finds laughable. Excerpts from the interview. The relationship of Indians with the English language is of special interest to you. In which ways do Indians use it best and in which ways do we mangle it? I have often seen signs in Bihar, but also elsewhere in India, saying ‘Child Beer Sold Here’. I was delighted when Siddhartha Chowdhury used that in a novel. There is no pleasure in being prescriptive about language. I enjoy the inventive ways in which language is manipulated to make meaning. But even as I say this, I have to acknowledge that I often get mails from people in India who want advice about writing. And while reading their letters, my first impulse, quite often, is to ask them to read George Orwell. Upon reading that sentence, I have stepped into the world of Akhil Sharma’s writing. Simple words, simple phrases; but there is nothing simple about the world being described. There are the stars, and there is blood—in the same breath, we have both beauty and death. A jury of eight – writers, publishers, academics and book critics – nominated 10 books each. The jury comprised of Amitava Kumar, Chiki Sarkar, David Davidar, Harish Trivedi, Jeet Thayil, Jerry Pinto, Ravi Singh and Sunil Sethi. US-based Indian writer Amitava Kumar says, “This is an inadequate list. I wish I had read more of Indian literature in translation. UR Ananthamurthy’s Samskara surely deserves to be on that list, as does OV Vijayan’s The Legends of Khasak. Or a novel by the great Bengali writer Bibhutibhushan Bandopadhyay. My son, who was born here in New York four years ago, doesn’t speak Hindi—but I have taught him the first few lines of the Kishore Kumar song Hum to Mohabbat Karega, Duniya Se Nahin Darega. It means the world, beta, the world that I have lost. The world of Hindi. One night two summers ago, I was in a car speeding across the border into the eastern Indian state of Bihar. The unlit, pitch-black freeway didn’t deter traffic from barreling forward at breakneck speeds. In the inevitable accident, a young man was shredded by a truck. A politician showed up, but instead of taking charge, he distracted the police with laughter and gossip. Here is my own manifesto for Indian writing. I hereby call for a literature that engages with “the real”: not just the depiction of blood on the streets, or, for that matter, the cold air of the morgue, but also the warm, somewhat moist atmosphere of unwanted intimacy in the waiting room in which we have left behind a little bit of our past. Like the political parties, I too am trying to project myself to my home base. The title of my novel Home Products, published back in 2007, was drawn from a quote by Mark Twain: “To my mind, one relative or neighbour mixed up in a scandal is more interesting than a whole Sodom and Gomorrah of outlanders gone rotten. Give me the home product every time.” But the title had always had another meaning for me. It was meant to signal that the story wasn’t for export. It was for readers in India. In fact, when people read it I wanted them to imagine that the novel could have been written in Hindi. Another month, another bright young star in the firmament of Indian writing. I didn’t write that sentence. It appeared in these pages almost 14 years ago, in August 2000, opening a review of a debut novel written by a young writer who was an investment banker on Wall Street. When I first read that line, I remember wondering how long it would be before the lights were turned off and the attention of the literary marketplace moved to another patch of the sky.